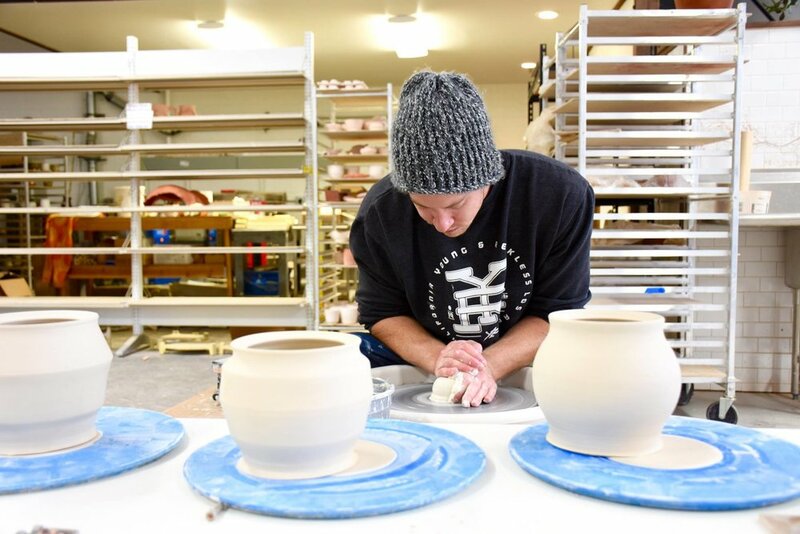 The Wedge Ceramics Studio offers membership programs suited to your needs as an independent artist, in addition to classes. Kiln use is also available for work made outside The Wedge Ceramics Studio. If you're interested in a membership, feel free to stop by or visit our Contact Page. This is a 10-punch pass that costs $100 and you get to come to the studio 10 times within a 3 month period. You must use the 10 days within 3 months and check in to get your card punched every time you come to work in the studio. A community shelf is provided for punch pass members and you get unlimited bisque and glaze firings. Every Wednesday night 5pm - 8pm we offer a community throw time for non-members to come in the evening and work in the studio. 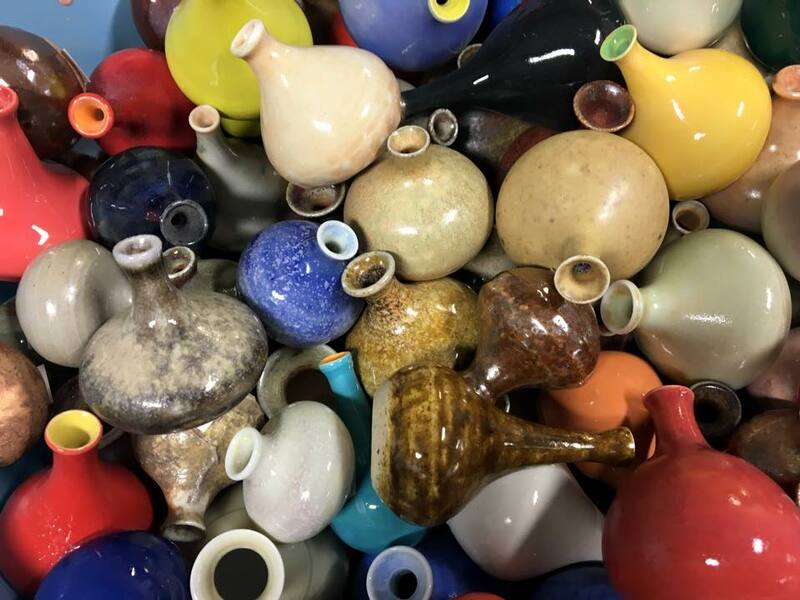 Fee is $20 which includes studio time, tools, clay, and a bisque firing. Prior ceramics studio experience is required. If you need experience, sign up for one of our beginners classes. We also fire work made outside of the studio. Call for pricing.